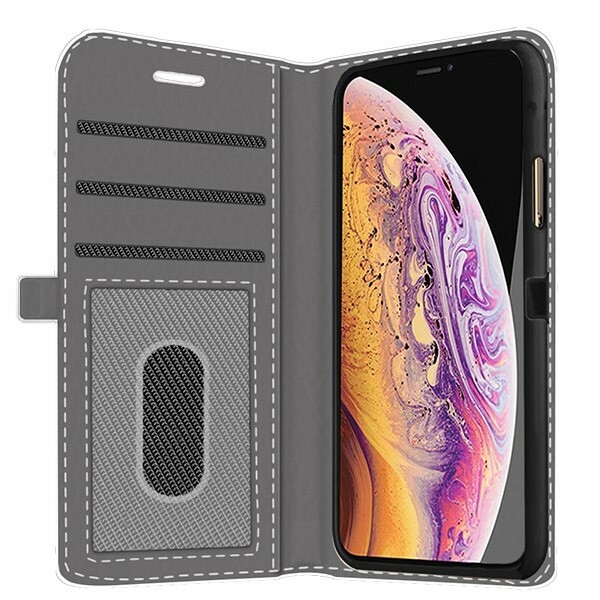 A custom iPhone Xs Max case with your own photos printed on it and room for cards and cash, a wallet case is what you want. Not only is a personalized wallet case perfect for organization, it also offers protection for your phone on all sides. Make your own custom phone case in just a few minutes and get a quality phone case with fast delivery. Keeping your expensive phone looking good with a phone case is important, but it shouldn’t detract from the look of the phone. 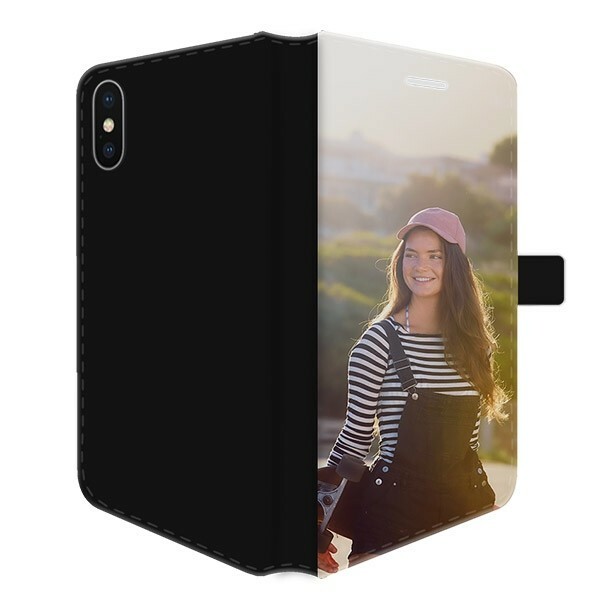 You can now use your own photos or designs to create a custom iPhone Xs Max case that provides your phone great protection and a uniquely personal look. A phone case with your favorite player, an image from a family reunion, or just a simple geometric design that you think looks great, it’s all easily possible. Not only is the case going to look great but with your whole phone covered by a wallet case, it will be protected from scratches and drops. Create a custom design now and see how it looks. 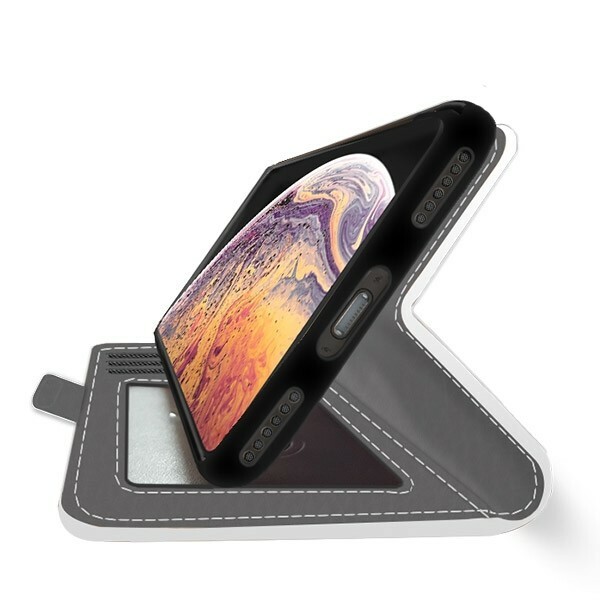 We’ve specifically made the design process easy so you can focus on making your custom iPhone Xs Max case fit your style and personality perfectly. Once you've settled on a design or photo you want to adorn your custom phone case you can create it in just a few simple steps. First, upload your photo to the Customizer via a laptop, phone, or through your social media accounts. Once uploaded, make any adjustments by resizing or rotating the image. You can also create some interesting collages with multiple photos. Next, add some text, a color filter, or even an emoji to finish off your design. Once you are happy and satisfied the design is to your liking, submit your order. Design your phone case now! Very quickly after you submit your order our production team will start working on it. Our production team will print your personally made design with our high-quality printers using scratch-resistant ink for a design that will last. After a quality check to make sure there are no mistakes or imperfections, your order will be boxed up and sent to you. It's important that before you submit your order that check that your design and your shipping information is correct. We would hate for you to not receive a good design or your phone case at all. If that is that case, we will definitely work with you to find a solution. You design it and we will print it. 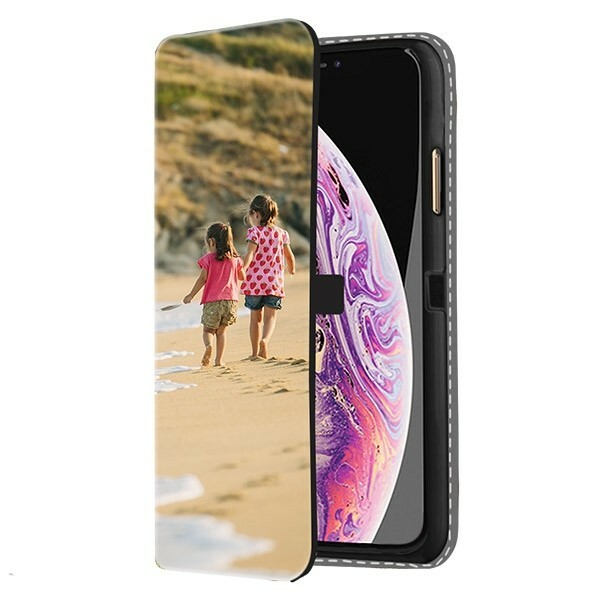 Design your custom iPhone Xs Max case now.